The year is 1968. The liberal reforms of Czechoslovakia’s new leader, Alexander Dubcek, have outraged the Kremlin and now, 250,000 Warsaw Pact forces are amassed on the borders. For American intelligence, the situation is worsened when their prime source, Josef Blaha, threatens to cut them off unless one demand is met: a totally safe contact. For CIA veteran, Alan Curtis, jazz musician Gene Williams seems the ideal choice. 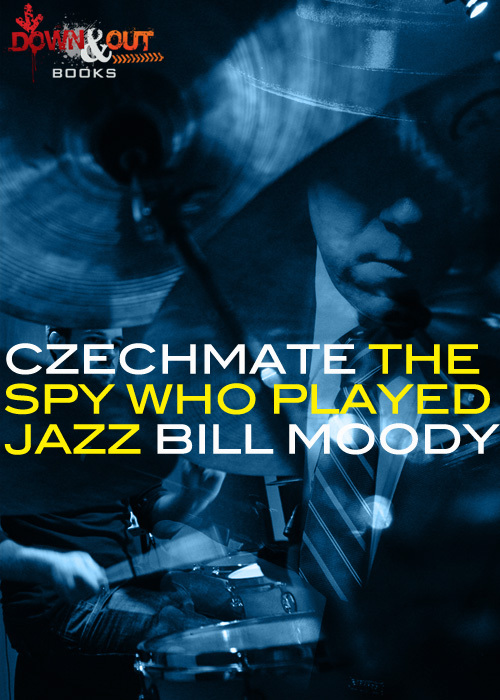 His invitation to the Prague Jazz festival gives him perfect cover and access to Prague. But Williams is a musician, not a spy and has other ideas that force Curtis to resort to blackmail to get the young musician to accept what Curtis calls a simple pickup and delivery. It starts to go wrong when Williams finds Blaha murdered by the KGB and he’s left to unravel the puzzle on his own. What he finds is even more than Curtis bargained for. With the help of Blaha’s beautiful granddaughter Lena, Williams races against time to warn Dubcek of the impending invasion and uncover a traitor in the US Embassy. Here is a PDF of the first three chapters so you can give it a spin. If you like it, you can order it from your favorite Independent bookstore or on-line.